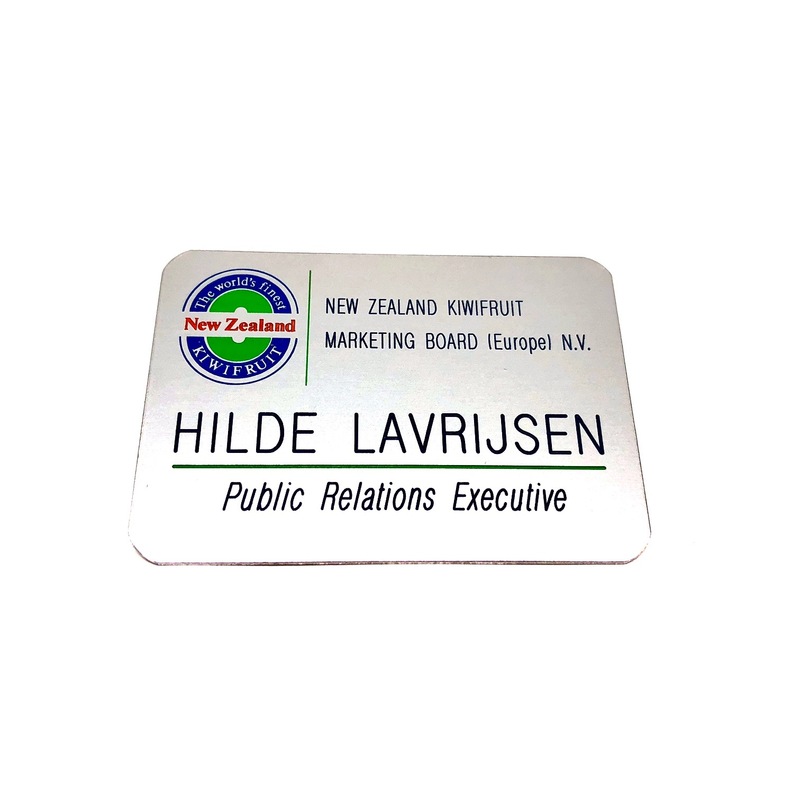 We make name badges with name and/or logo for companies and organizations. 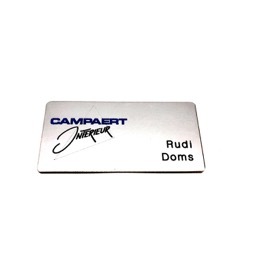 You have the choice between an engraved or printed name badge, in every desired shape and size. 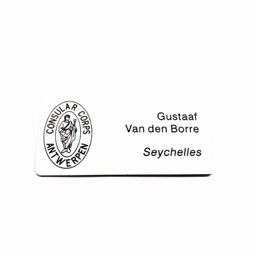 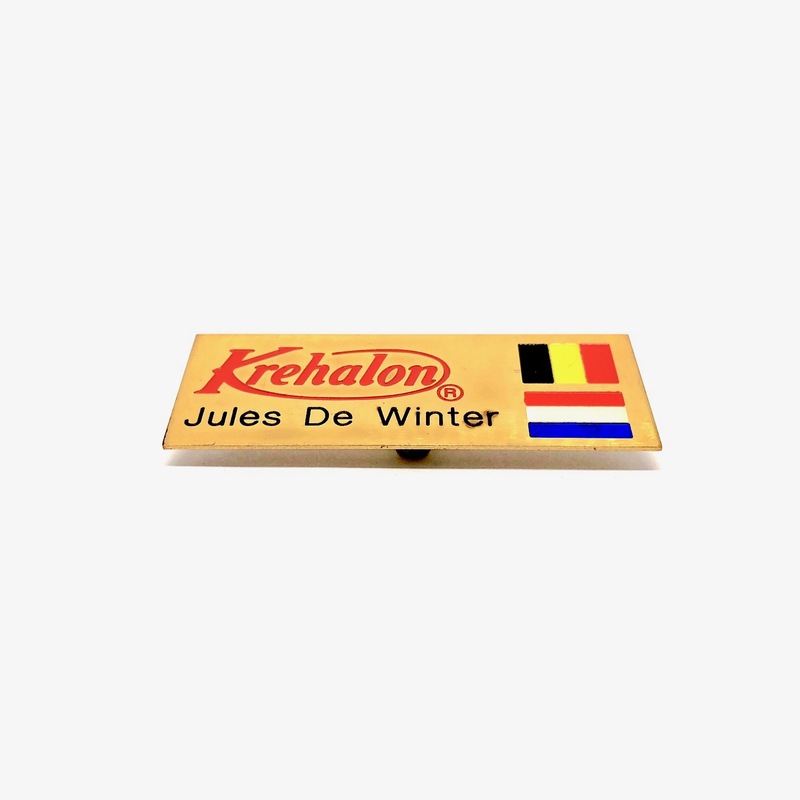 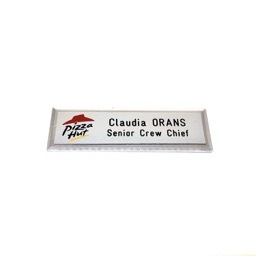 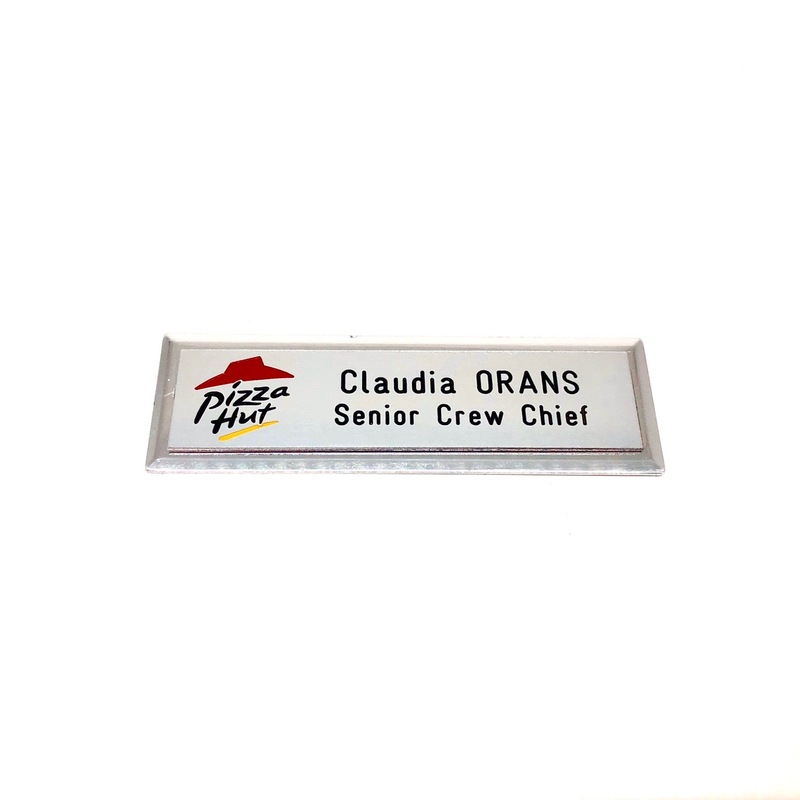 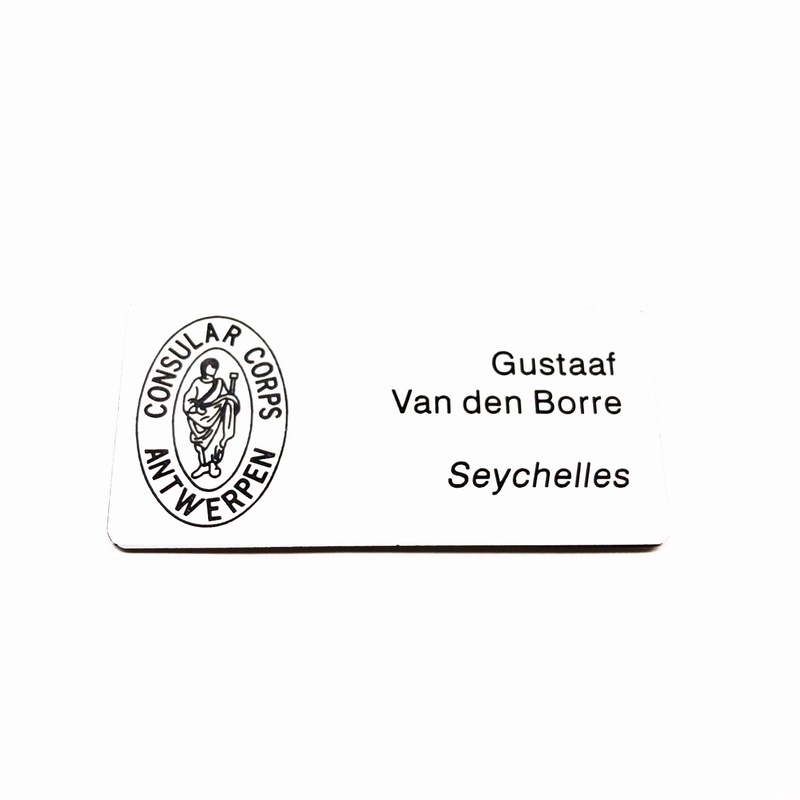 Engraved name badges are colored with one or more colors as desired. 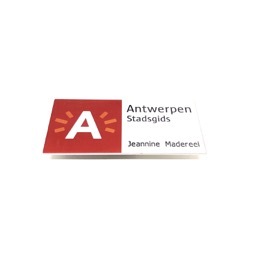 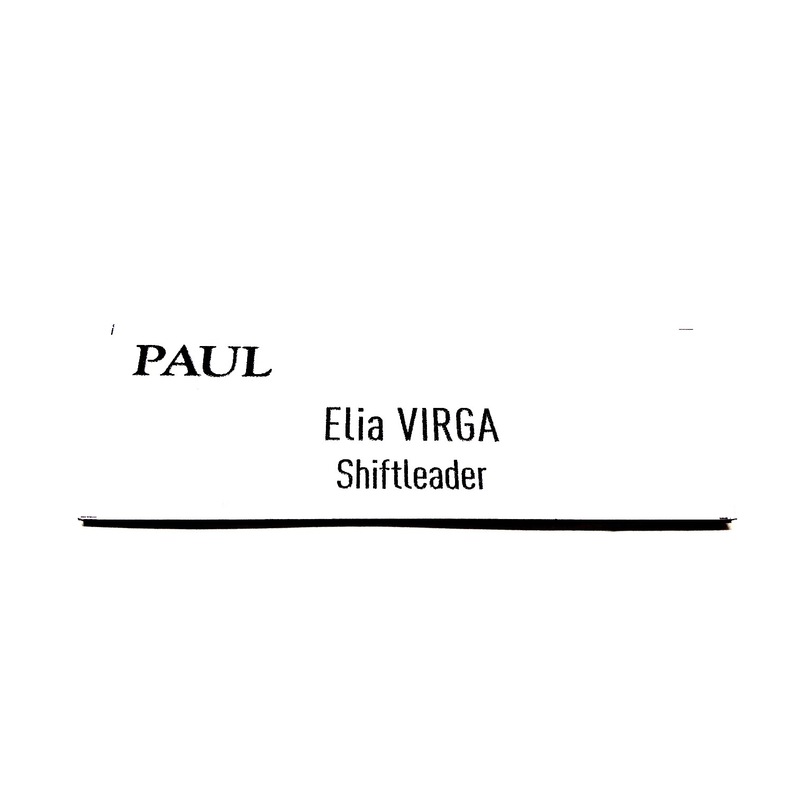 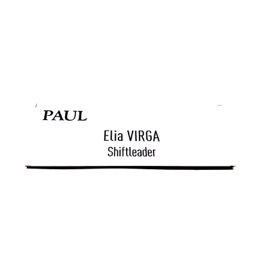 Printed name badges are printed in full color. 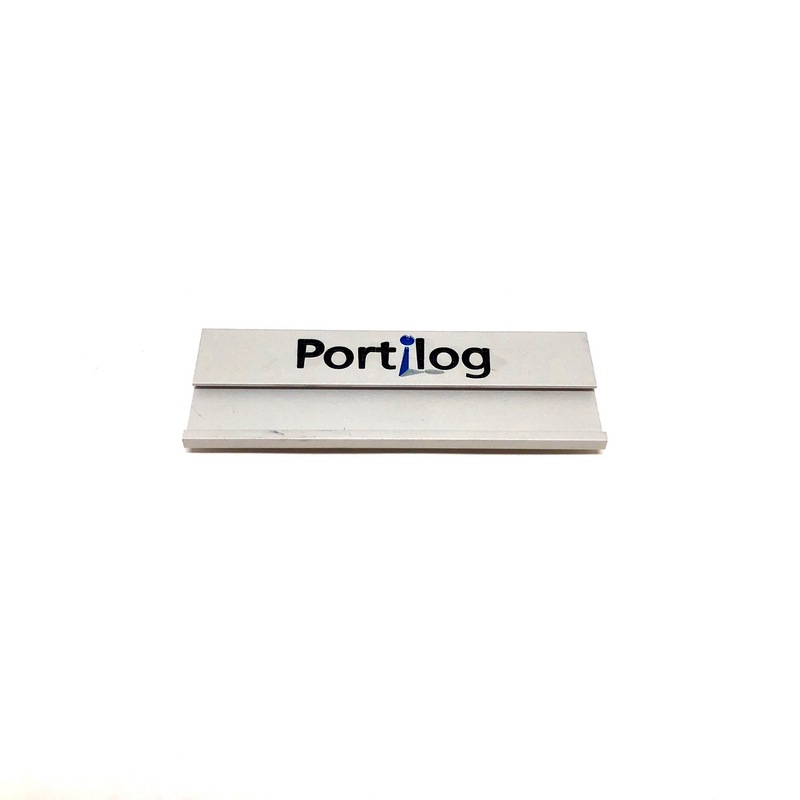 Attachment is done by a magnet, clip or a brooch pin.